Peter Goodall sadly advised that Brian Williams (1934-2011) passed away at 6:40am on Monday 12th December, 2011, at the Kalamunda Hospital palliative care unit, following an operation and therapy, after suffering a brain tumour as a secondary cancer. Brian was convalescing at home before entering the Mount Hospital for three weeks following by the Kalamunda Hospice for one week. 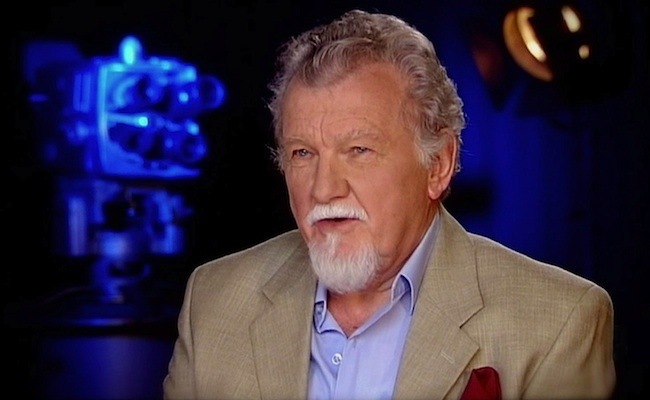 Channel Seven folk will remember Brian as a producer and director of many early programs at TVW from 1959 to 1967 and then from 1978 to 1979. Whilst working for Seven he established the very first WA film agency in 1978 which was known as the WA Film Council (WAFC). 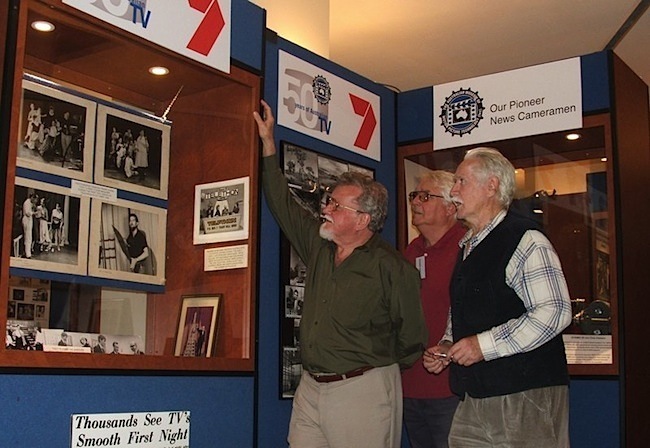 Brian will be fondly remembered for playing a vital role in the fledgling days of TVW Channel 7 in Perth, when with only 86 staff members it became the first television station in Western Australia. Few people on staff had the experience of the then 25 year old Brian, who was trained in television at Melbourne Technical College and the ABC TV Training School in Sydney, to become the youngest producer/director in Australia at that time. With the exception of Beverly Gledhill and John D. Brown, all other early directors were to learn the craft on the job. 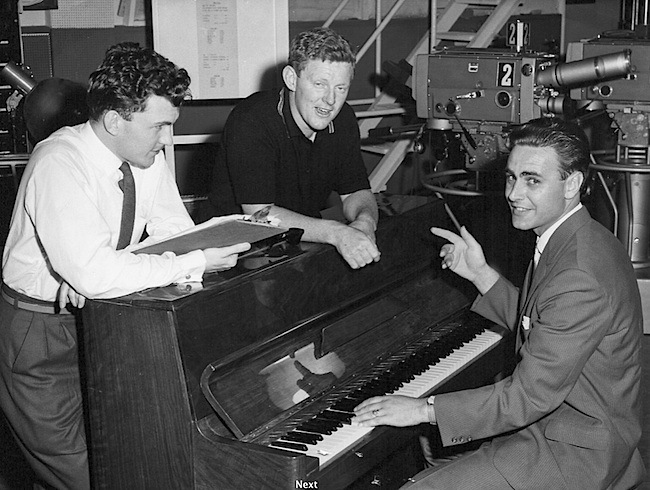 Brian directed such early series as ‘Tuesday Date’ and ‘Saturday Showtime’ before creating a number of memorable specials such as ‘Do You Remember’, ‘Songs of the Wars’, ‘Invitation to the Dance’, ‘The Nutcracker’, ‘Baptism of Fire’ and ‘Bradman’ to mention a few of the many shows Brian was responsible for. TVW veterans Richard Ashton and Gordon McColl have been reminiscing about Brian’s contribution to the early years at Seven in preparation for writing this tribute for the web site. Richard pointed out how there was always pressure to use two rather than three cameras, whether that be to conserve finite camera tube time, or to operate with less staff. On one occasion Brian was so unimpressed by these constraints that he purposely planned a show such that it could be achieved with only one camera. 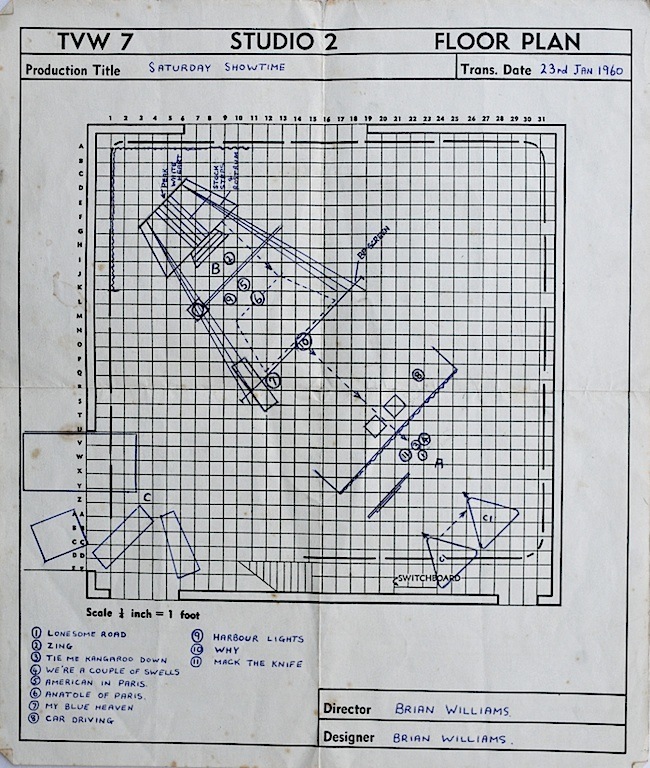 This required remarkable ingenuity as not only were there space constraints with the original Studio 2 (until enlarged) but he managed to maintain continuity between different acts as sets were changed. Brian achieved this by stacking each set behind the other so that after the solitary camera had dollied in, layers of that set were peeled away to cunningly reveal the next scene behind without adversely impacting on the production. Gordon explained that no matter how serious a situation, Brian was always good humoured about it. It was not uncommon for Brian to dress up the staging area or hallway so that it could create the appearance that the original studio was larger than it was. 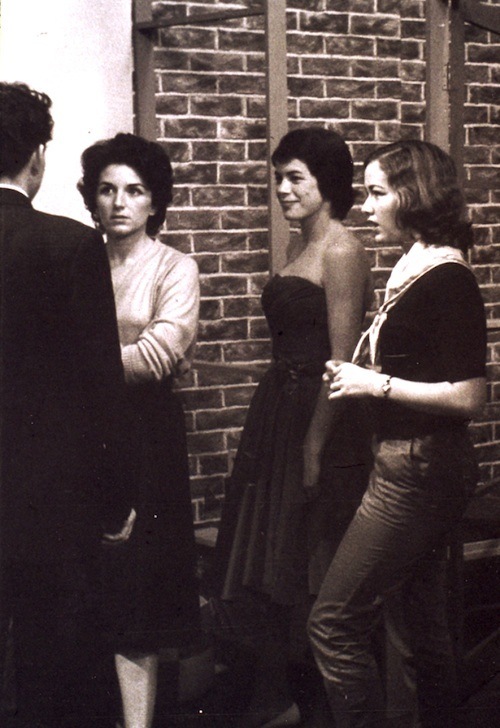 For example, the band was located outside, between the studio’s big doors so that more space was available for the entertainers, yet the band was still visible for the cameras. On one occasion Brian located the band in a tent outside the building, to enable even more room. Unfortunately the heavens opened up and the tent proved not to be up to the task of holding back the downpour. On another occasion the band was located in the tiny Studio 3 News studio, but on that occasion the audio department experienced technical problems and communications were lost between the two studios, causing no end of confusion to both the band and performers. 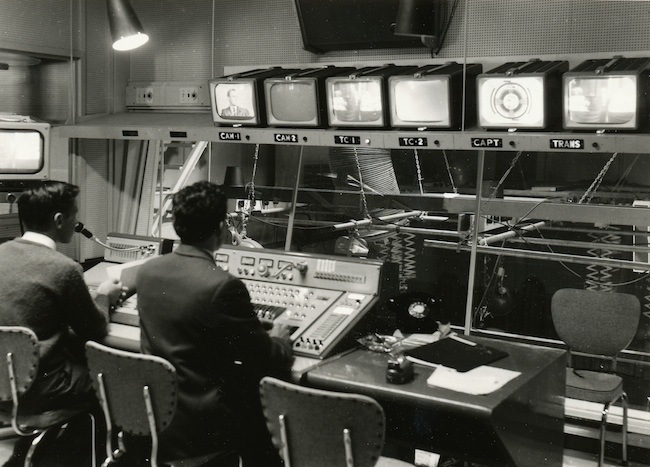 It was considerable relief when Studio 2 was enlarged and then the much larger Studio 1 was commissioned in 1963. Brian was also renowned for throwing great parties in Mount Lawley at a time when TVW was very much a family, with staff working and playing together. 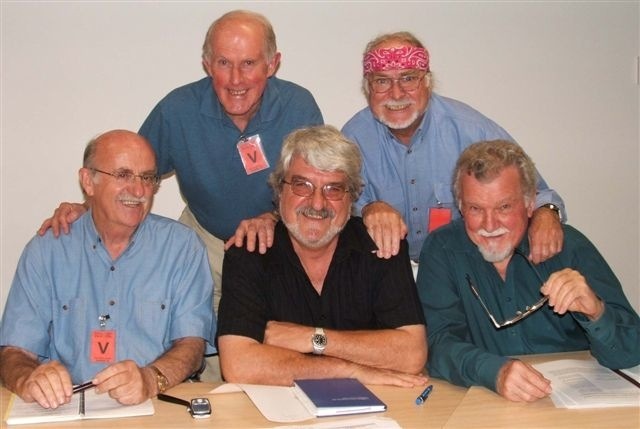 Whilst sorting through Brian’s newspaper clippings and memorabilia before TVW’s 50th anniversary, Richard and Gordon were able to chat with Brian about the early days at Seven, and enjoyed a long lunch with him at the Rose and Crown in Guildford before he entered hospital for his operation. On that occasion he looked well and did not dwell on his health problems. 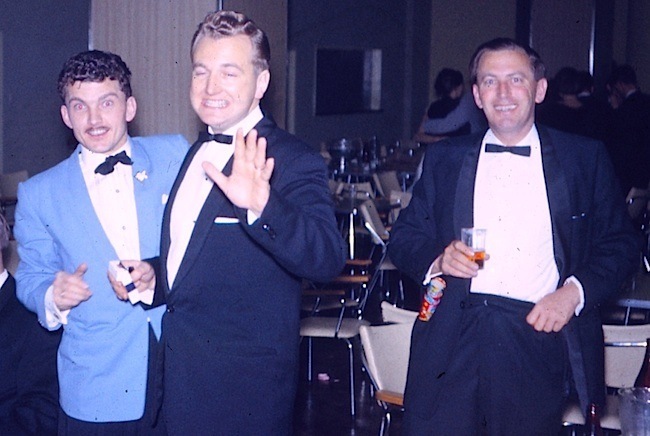 It was unfortunate that Brian’s followup treatment prevented him from participating in a gathering of TVW veterans dating back to the 1959 opening of the station.The party was organised by Coralie Condon and Audrey Barnaby, and Brian was keen to attend, as he had missed out on the 2009 reunion, but it was not to be. We all have fond memories of him, his humour and wit… and his enormous contribution. All the big specials were produced and directed by Brian until Max Bostock directed The Good Oil. Max points out that it was Brian who first enticed him to WA, after working with him at the ABC in Melbourne. 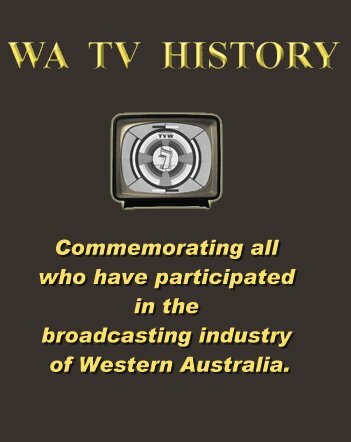 Brian Williams not only directed a number of TVW’s early series and memorable specials, but also engaged in a wide variety of activities from live commercial presentations to outside broadcasts, in particular the pioneering cricket OB’s and blazed a trail with the early Tonight shows and Miss WA Quest, etc. In 1960, there was ‘Tuesday Date’ and ‘Saturday Showtime’. In 1961, ‘Do You Remember’, was a trip down Memory Lane of Perth in the 1920’s. 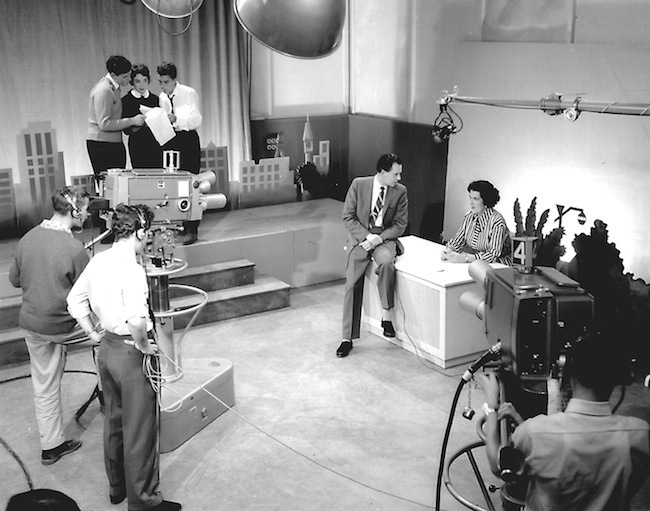 Brian was often director for Lloyd Lawson’s ‘Today’ show, which ran from 1961 to 1965 on TVW. This was also the year of the Perth Commonwealth Games. In 1962, Brian William’s ‘Songs of the Wars’ was a cavalcade of songs and music sung and played by Australians in conflicts from the Boer War through World Wars I and II. In 1963 TVW’s Studio One was first used for Brian’s ‘Invitation to the Dance’ and he also directed a version of Tchaikovsky’s ballet masterpiece, ‘The Nutcracker’. Then there was Baptism of Fire in 1964, a one-hour documentary on the first-ever naval engagement of the Royal Australian Navy when HMAS Sydney did battle with the German raider “Emden” off the Cocos Islands. 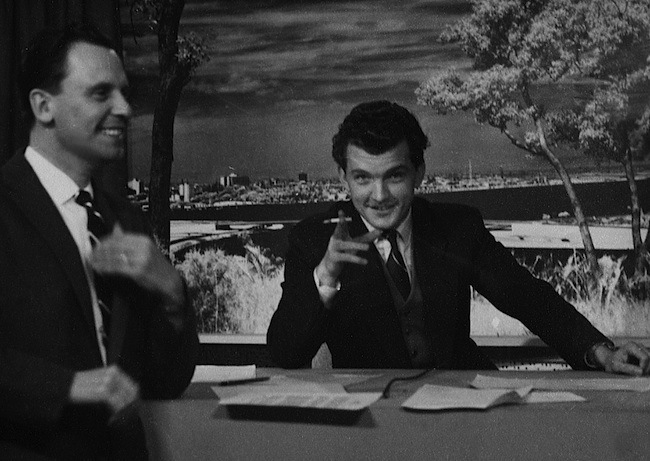 In 1965, he was involved when Mavis Bramston came to town and appeared on ‘In Perth Tonight’, for which he was the first director. Also that year, Brian produced the first documentary on Sir Donald Bradman, titled ‘Bradman’. In 1966, Brian directed ‘Seven is Seven’, a special program presented in Studio One to commemorate TVW’s 7th anniversary. News cameraman and studio director Peter Goodall enjoyed a long friendship with Brian from the earliest days at Seven, often working together on many big projects. Peter explains that Brian went on to be the executive director of the Queensland Film Corporation, and at one stage headed the WA Film Council. “The early days of TV in this state were great fun and he was so important to such a large number of people myself included. 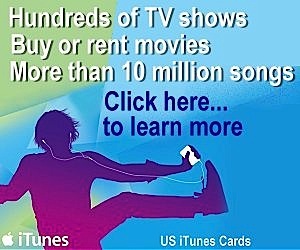 In the 60’s we began shooting/producing TV commercials on weekends while at Seven. “How sad, I voiced a lot of doccos and adds for him in the seventies when he had digs opposite the old 6PR. And ran into him a couple of years ago outside the new ABC offices. Jan Williams believes that one of Brian’s most important achievements was lobbying the government for a state funded film body in WA. All the other states had such a body. As a result in 1978, the Western Australian Film Council (WAFC) was born, with Brian appointed to make it work. Jan Hamer was appointed as Secretary to the Board and Brian’s assistant. Brian was the coordinator (a part time position as he was still working for TVW) whilst Jan ran the office. The Board was nominated by Brian and appointed by the government. Funding came from the Department of Industrial Development (not as expected, the Department for the Arts). The Premier was then Sir Charles Court. 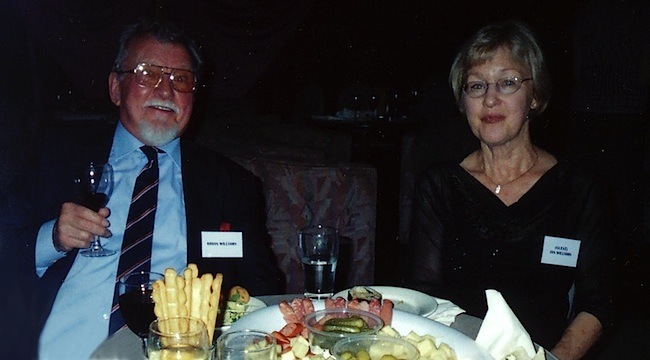 Brian was then asked to go to Queensland in 1980 to be the executive director of the Queensland Film Corporation, following which Brian and Jan married in 1984. On his return to Western Australia, he was asked to instigate a review of the local industry. As a result, the WA Film Council evolved into ScreenWest and has been running successfully since 1992. Brian had retired himself until invited to do some guest lecturing at the WA School of Art and Design on Production Management. This soon developed into a full-time occupation and he was appointed as Programme Manager of Film and Television, Broadcast Presentation, Photography and Music – over three campuses. It took a couple of years for these courses to be revised and accredited nationally, but it paid off. Daryl Binning reports that Brian Williams was founding member of the Australian Museum of Motion Picture and Television (AMMPT) representing the TV industry. Brian was also a trustee of the AMMPT ancillary gift fund that distributed money to various projects. Daryl too enjoyed his friendship and the valued input Brian provided to the association. So sad to hear of Brian’s passing. I have very fond memories of Brian and Maureen in the “golden years” when we were all in our twenties. He was handsome, suave and fun-loving, and always impressed me with his air of flair and sophistication.. He and Maureen gave very stylish parties with “grown up” food and drinks (like martinis). Brian was very confident of his talent and was never afraid to “push the buttons” of executives when he wanted to experiment with a creative innovation. I always secretly admired him for it. Former TVW Sales Manager and Managing Director Greg Byrne expressed gratitude for Brian’s help during the very hectic period of live commercials when all manner of household appliances where shepherded into the tiny studio for a brief rehearsal before going live to air, followed almost immediately by another for a different client. Sometimes complicated by the fact that they were selling similar products and were continually trying to better each other. “Quite the sophisticated and worldly guy—with a serenity that was rather more ABC than TVW! Brian was a good friend while I was in Perth. I approached my wife Lois’s Uncle Albert who ran a struggling radiator repair business in Fremantle. An unfriendly and suspicious Yorkshireman, Uncle Albert took some convincing (over several weeks in fact) that for the price of a 30-second commercial, TVW could indeed turn his ailing business into a thriving concern. Well, finally he relented, I got the money in cash—and then came the really hard part: how to put an effective live (no video tapes then) commercial about radiator repairs together! Well, the first step was to offer a free cup of tea in the canteen to my friend Brian Williams—and present him with the challenge of saving Uncle Albert’s radiator business. What ensued is now regarded by people who were there at the time, as both the longest (3.8 minutes) and most spectacular 30-second commercial produced (and ever likely to be produced) in the history of television. Brian gathered our best on and off-camera talent together (David Farr I recall, was the male lead) he then designed a set larger than anything that had ever been devised before—complete with a running stream, weeping willows, wild flowers, a boat (avec oars) and a leading lady (whose name escapes me) and appropriate English garden-type music, to complete this idyllic scene of David rowing his paramour to goodness-knows-where.. The voice-over content I can’t recall either, but suffice to say its relevance to the unfolding, quite lovely Barbara Cartland-ish scene delighting our viewers was at best tenuous! Briefly this time, but also in a ‘selling’ context, I will never forget the ever-suave Brian Williams trying to convince both Brian Treasure and Frank Moss that the purchase of two very expensive bottles of French perfume listed on his (Melbourne visit) expenses claim and presented to two female (I feel sure) ABC-TV producers was justified on the basis of the need to establish ‘goodwill’ between our two stations. Brian (Williams) lost the argument even after (or perhaps because of) courageously suggesting to BST that he BW, had heard that our (then) esteemed sales manager BST, sometimes bought a new shirt on his expenses! Well there you have it. Sorry about the length of the first BW story—but the size of the ‘production’ kind of justified it! We’ll all remember him as he was… that wonderful mischievous smile and great sense of humour which endeared him to his workmates, encouraging them to do that little bit more every-time, as he was a joy to work with. Brian’s funeral was a family only affair as per his request. Beloved husband of Jan, loving father of Karen, stepfather of Alan, Ian and Dani, father-in-law of Michael, Elizabeth and Ian. Dear Beekers to Sophie, Isabelle, Emilie, Tanika and Cody. Passed away peacefully on 12th December. Forever in our hearts. AMMPT members are saddened to learn of the passing of one of its foundation members and a pioneer of the local television industry. Dearest FB, we will miss your wit and wisdom and we look forward to the day we again share stories, laughter and bubbles in the book shop on your cloud. Williams (Brian ): Thank you for being such a wonderful father to us and grandfather to our beautiful Emilie. You will always be our shining light and even if you are not by our sides anymore, you will forever be in our hearts. We love you Brian. Dani, Ian, Emilie and Shaka. Great friend and mate of Wally and Kate, Peter and Gail. We “The Vicars” will miss him greatly. “Open one for us when you get there”. Love and much sympathy to his wife Jan, daughter Karen and their families. Great mate and cohort for 50 years. Wonderful times remembered. The mischief and adventures we had will be no more. “It’s a wrap, Beakers”. Peter and Gail Goodall will miss you. WILLIAMS (Brian): Friend, colleague, inspiration. Will be sadly missed. Heartfelt condolences to Karen, Jan and families. You’re now at peace Brian. We’re very saddened by your passing. You loved mum dearly. In loving memory, Ian, Liz, Sophie and Isabelle. Goodbye our wise and loving brother-in-law and uncle. So many great discussions and wonderful memories. Merredy, Ross, Michael and Bronwyn. Thanks for your help, particularly in the early years. Max Bostock. WILLIAMS (Brian): Heartfelt sympathy to Karen and Michael, Jan and family on the sad passing of Brian. Fondly remembered. Julie and John. Our love and sympathy to Jan, Karen, Michael and families. Your depth of life, wit and knowledge will be sadly missed. Another hole in our wall of wonderful memories. Rob, Sue and the Thomas family. When I was in Continuity, Brian must have thought that I needed specific training in the supervision of staff so he sold me a series of vinyl 33rpm discs that were a self help course called The Dynamics of Supervision. He must have realised I was struggling with 3 headstrong females in the one room especially when the deadlines were looming. and we became great friends at ABC Radio and later TV in Melbourne. 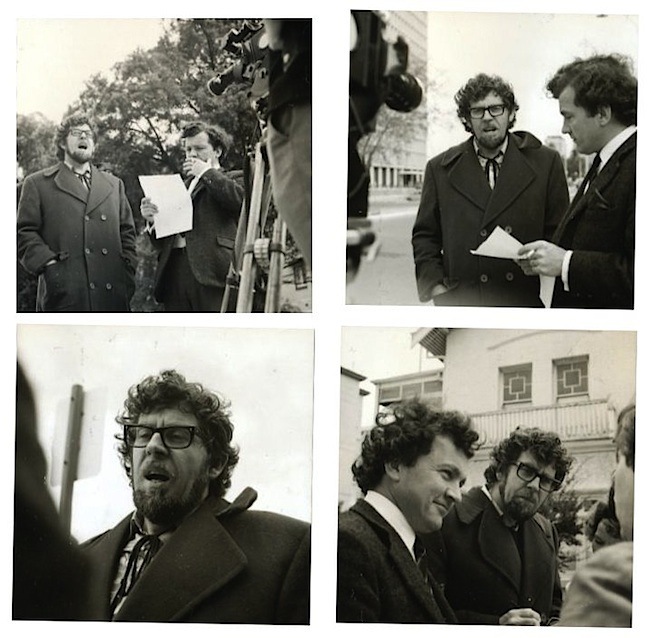 we laughed and laughed about those early ABC TV days – Brian was the Producer – I was on audio. It NFSA create a legend roll of honour Brian ‘ Neddy” Williams would qualify for round one. best I keep them to myself. The first time I met Brian was on the set I designed for the final of the Miss Western Australia Quest held at the Pagoda in Como. It is impossible to forget his self confidence, his cheeky witticisms, his sparkling blue eyes and great sense of humour as well as assuring me that the set design would be good for the the live telecast the next day. A few weeks later he directed the OB for the first final of the Miss Australia Quest to be held in Western Australia at the Capital Theatre. Forty three years later I again met up with Brian, thanks Ken, and remained in touch until last Oct/Nov. I consider it a privilege to have known Brian and to have shared many television events with him.